The North Stonington Garden Club was founded in 1939 and federated in 1940. 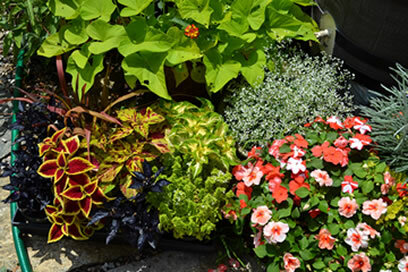 We are an active group of enthusiastic, friendly, ‘hands on’ gardeners from North Stonington and nearby towns. Our community efforts include civic planting, education, and conservation. We welcome new members. We Are Not Your Grandma’s Garden Club! 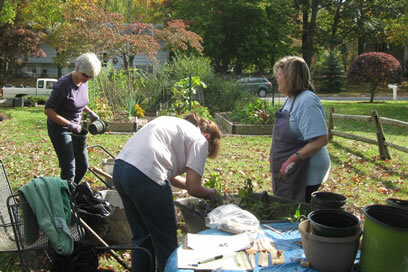 The garden club will again have URI Master Gardener soil testing experts at our Plant Sale. Getting a soil test, whether you are growing vegetables, flowers, or a lawn, is the most important single thing that you can do to achieve the best results. Trained Master Gardeners will evaluate the texture and the pH of your soil sample and provide you with advice on how to improve your growing conditions, if that is necessary. In addition, the Master Gardeners will be there to offer advice on any gardening, lawn care, or tree problem you may have. Instruction for taking a soil sample are below. I want to bring a soil sample to the Plant Sale. How do I take a sample? Using a clean trowel, dig up and combine several smaller samples in each separate area of your property that you want to test. 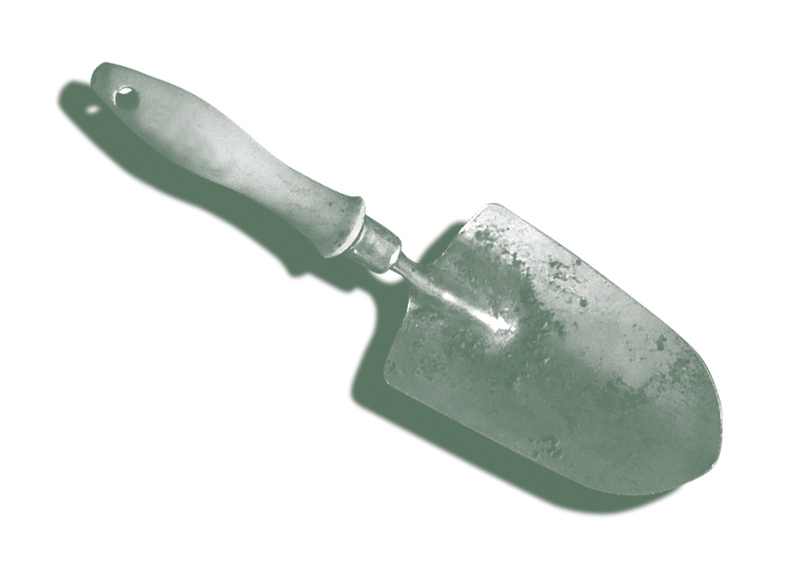 Dig down to a depth of 3-4″ for lawn, 6-8″ for vegetables and flowers and 12 -18″ for fruit trees. 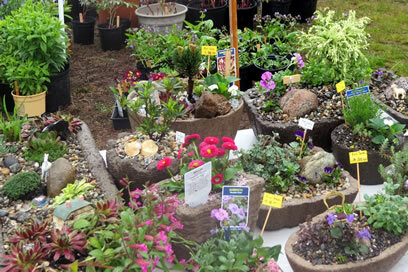 Do not sample recently fertilized, limed, or very wet soil. You can take the sample from different parts of the lawn or the garden. Take approximately one cup of soil and spread it on a piece of paper to dry overnight. Transfer the sample to a small zip-lock bag. Write your name, the area of the yard you sampled (i.e., “veg garden” or “lawn”), and the type of plants you want to grow in that area on the bag with a Sharpie and bring it to the Sale. All inquiries are welcome.